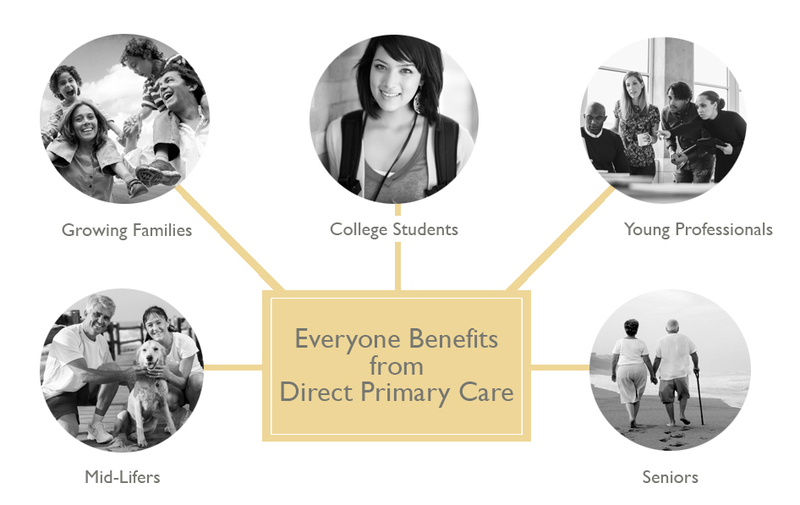 Comprehensive primary care…and so much more! Accessibility: Direct, easy and personal communication with your doctor. Convenience: Same- or next-day appointments with your own doctor. Consideration: Less wait time and longer appointments to address multiple concerns. Flexibility: Virtual visits if you don’t need to come into the office. Advocacy: Navigate and coordinate your care in a complex system. Affordability: No co-pays or deductibles, and discounted labs and imaging.